Sometimes, during the middle of the week, you just need fresh baked bread. And sometimes, you decide that two hours before dinner is supposed to be on the table. (So you can't make that wonderfully amazing 18-hour Hunger Games bread.) So you improvise with all the random grains you have in your cupboard. Here's what I came up with to go with a Thursday night mushroom and white bean soup... Flax Seed and Millet Bread with white whole wheat! I found some basswood honey at one of our fancy local grocery stores. I love the strong, almost tang of basswood honey, and I think it matches well with whole wheat.. tames it a bit of if you will. Proof the yeast in the warm water and basswood honey. Let rest for about 10 minutes and then add the oil. I beat the egg in a small drinking glass and poured most but not all of it in the mixture, reserving a small amount for the end to wash the bread. Add a heaping cup of white whole wheat flour and a heaping cup of bread flour. Sprinkle in the salt, flax seed, and millet. Mix by hand or in a stand mixer on 2 until the dough holds together as a ball. Add more flour as needed. I think I was under a total of 3 cups, but I'm really not totally sure. I was improvising after all. 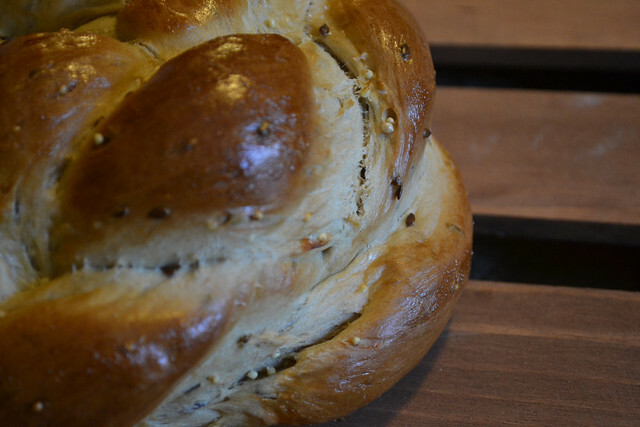 I was feeling festive but didn't want to make the loaf too Shabbos-y (yes, I just turned that into an adjective). 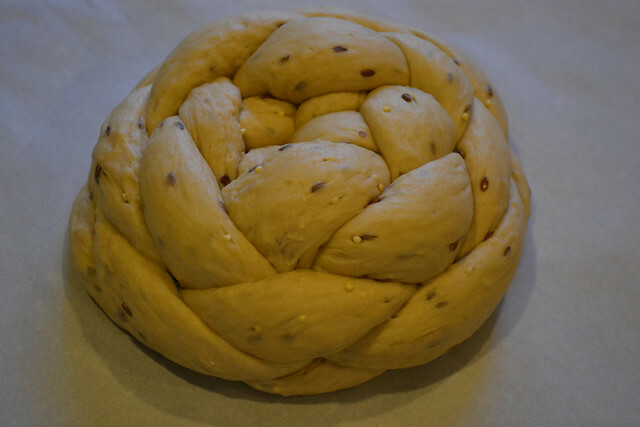 So, I gave it a round braid. 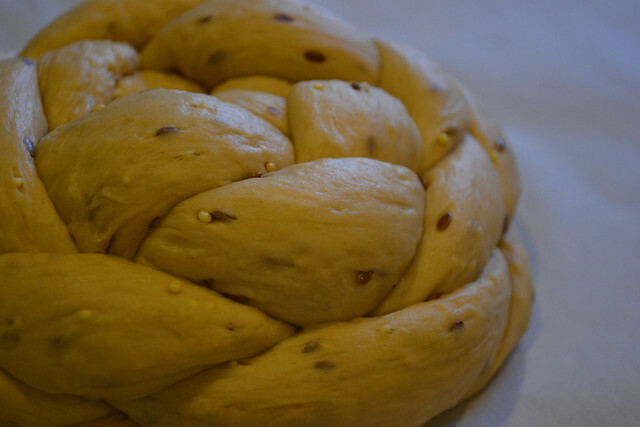 As with most round braids, you need to bake them just a touch longer and usually foil them on top so they don't over brown with the inside doughy. Bake at 350 for 25-35 minutes, turning halfway. Enjoy with a yummy dinner. 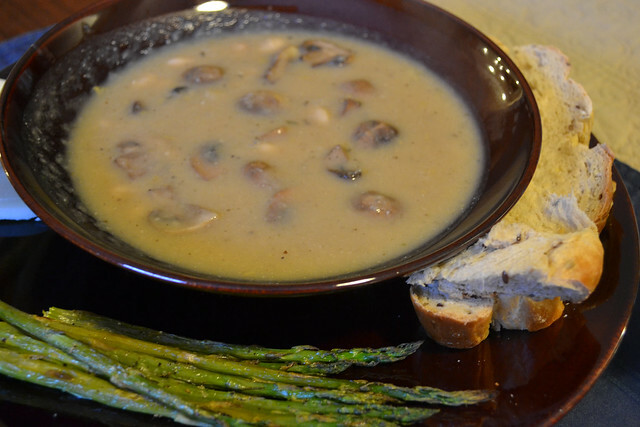 Here's a link to the soup recipe (which is even pareve!). 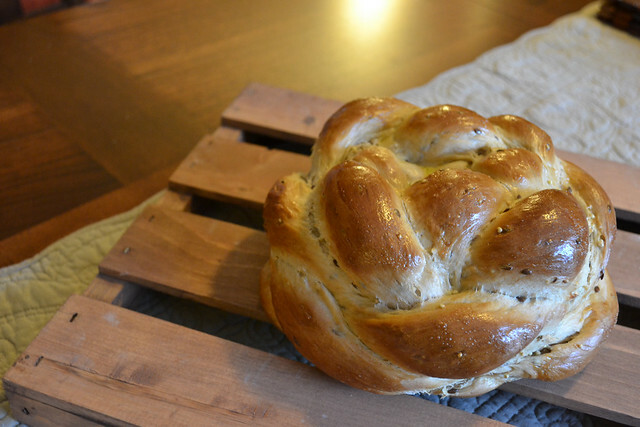 What breads have you improvised recently? Did they turn out? 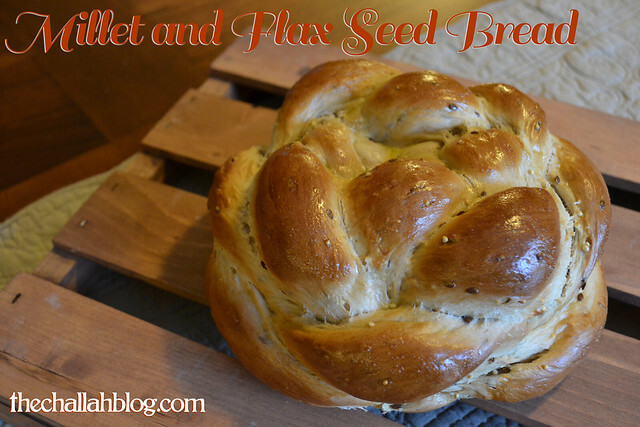 Were they soft and chewy like this one with just a little crunch of those millet and flax seeds? 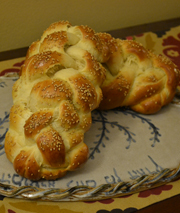 I could definitely see this one as a challah for a nice, healthy Shabbat dinner. Will someone help me to find more details about how to find a way to having an outstanding nutrition dishes that it include a elment like flax seed ? Can we prepare this at home?? ?